Initial Stage — Starting with the release of Chrome 56 in January 2017, Google began its mission to make the web a more secure place by displaying 'Not Secure' warning in the address bar for those HTTP websites that collect passwords and credit card information on their customers. 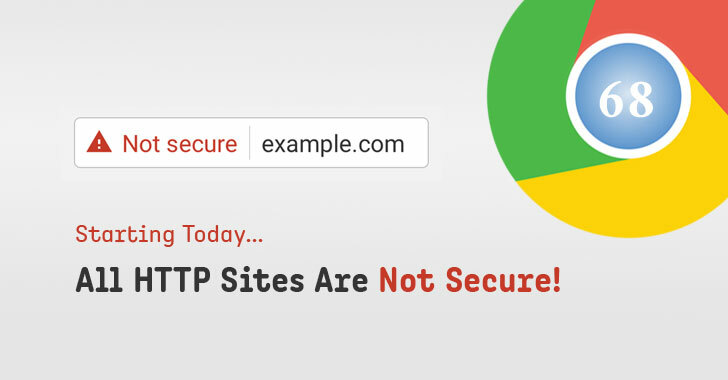 Transitional Stage — Later in October 2017 with the release of Google Chrome 62, the web browser started labelling all those websites as 'Not Secure' which had any kind of text input fields to enter data over an insecure HTTP site as well as on all HTTP pages visited in Incognito mode, where users may have higher expectations of privacy. Final Stage — Today, 24th July 2018, Google has released Chrome 68, giving the entire web a push towards secure and encrypted HTTPS connections by marking all websites that do not use the secure HTTPS encryption as 'Not Secure,' even if they don't handle sensitive data, communications, or information.